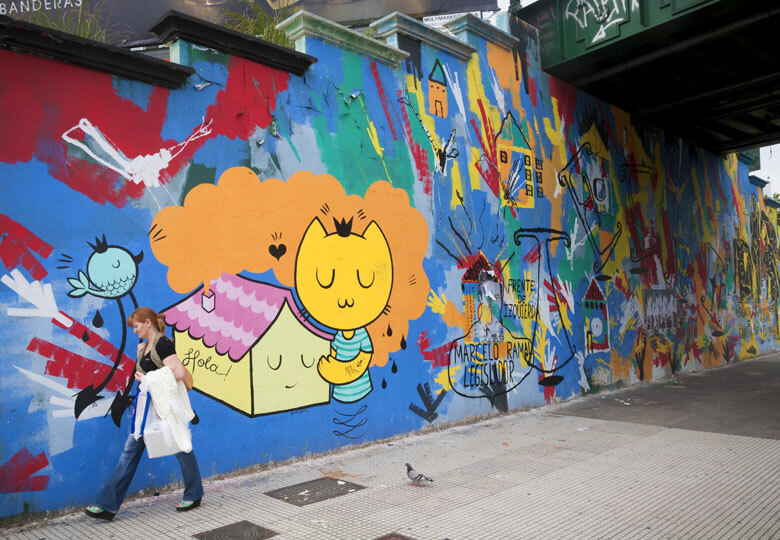 Over the years graffitimundo has facilitated mural and art commissions for individuals, social organisations, local businesses and multinational brands such as Google and Facebook. Commercial artwork projects are now managed by Galeria Union, with graffitimundo focusing on non profit, artistic and educational projects. 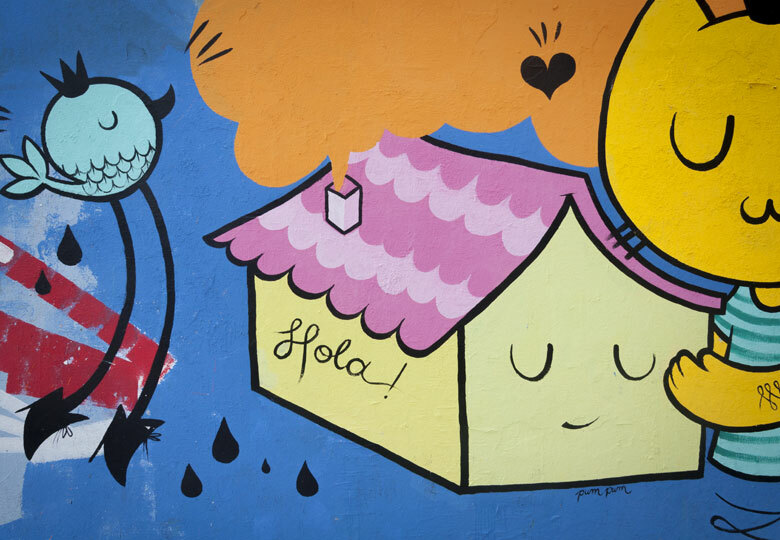 For example we recently worked with TECHO, a Latin American non profit organisation which seeks to improve the conditions of those living in precarious housing. Techo were looking for an innovative way to communicate their campaign message ‘Cuando tenés un techo, no tenés techo’ (when you have a roof, you have no limits). Working with local government we found a public location which offered high impact and visibility, reaching hundreds of thousands of people each day. 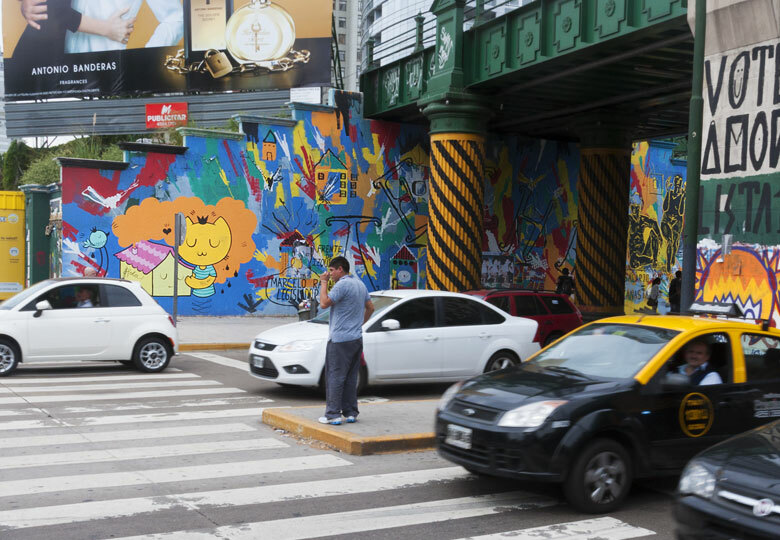 We assembled a team of artists to work with Techo to develop the visual concept, and La Wife, Tester, Pum Pum, Pelos de Plumas and Amor created a vibrant mural to support Techo’s campaign. If you are interested in discussing opportunities to collaborate with artists in our network on creative projects please get in touch.